Currently, we are seeing more and more residential as well as commercial buildings focus on taking the indoors outside. This is mostly done by designing an outdoor living space as an essential feature of the build. Outdoor entertainment spaces are becoming widely popular, and with the addition of all-weather outdoor blinds and accessories, furnishings, and materials, the perfect outdoor living area can be easily achieved. 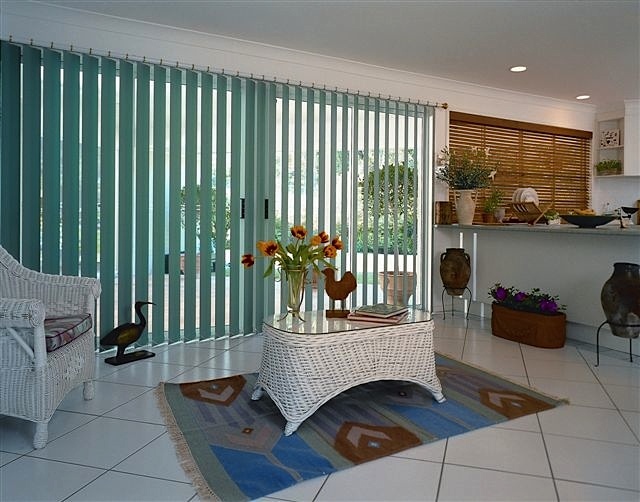 There are numerous dealers in shutters, awnings, such as Affordable Blinds and Shutters. Most of the dealers have a vast array of quality blinds that can fit any space including, sun blinds, patio blinds, external and roller shutters and awnings. They also come in a wide range of styles and colours to maximise your outdoor space. These blinds are an excellent way to provide comfort, relaxation, and convenience throughout the year, but the benefits do not stop there. In this read, we have included 9 tips on why outdoor blinds are excellent for an outdoor entertainment area. Quality outdoor blinds do an excellent job of protecting you and your friends from the wind, sun rays, and rain. If you live in a region that experiences multiple weather conditions in a day, you get the benefit of entertaining your guests or clients, regardless of the weather. There’s no denying that both commercial and residential blocks are getting smaller. Well, outdoor blinds are a great way to help maximize the outdoor region. Covering the patio and veranda areas gives you more usable space. According to reports, you can reduce your energy bill by up to 50% if you keep the blinds down. Outdoor blinds maintain the warmth of your house and ideally keeps it cool by shielding your home and office from the harsh sun rays. The outdoor blinds also protect your furnishings from fading, damage and general wear and tear by keeping out the harsh external elements. There’s nothing worse than entertaining your friends or clients, and the mosquitoes and flies come uninvited to your event. Outdoor blinds, however, protect you from all annoying little creatures. Regardless of the space, size, color or the size you need, there will always be a blind that meets your requirements. A professional vendor can match any theme to enhance the aesthetics of your outdoor living area. There are numerous types of block out blinds in a wide range of colors that not only look appealing but give you enhanced privacy. 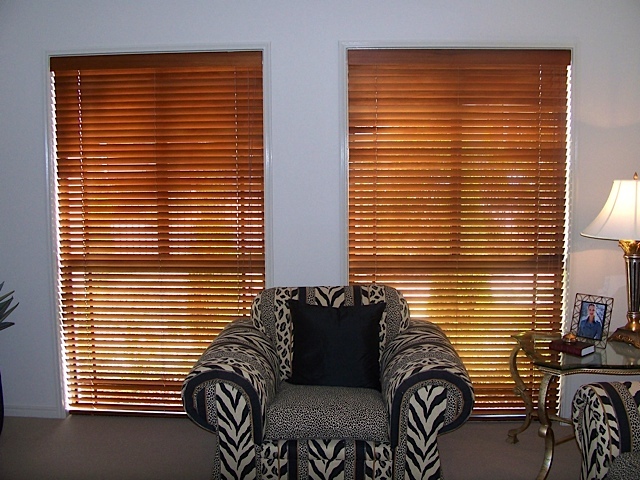 As mentioned above, outdoor blinds are available in a vast array of styles and colors. By enhancing the look and increasing the space of your home, you can expect to attract more potential buyers. Whether you have a home, an office or a cafe, the ability to entertain your guests or provide for your clients throughout the year increases profitability in your venture and happiness in your home. Most people optimise their porch by having a local deck builder like Just Decks add a patio or decking. This gives more options for cooking out, entertaining friends and enjoying a peaceful view of the night sky. Well, you can also extend the use of this region by installing porch awnings. But what are the benefits of these awnings? First, they can transform your adjacent patio or deck into an appealing semi-permanent outdoor room. This can be a shady retreat where you can relax and unwind after a long day. Second, awnings keep the patio furniture cool and protected from passing showers and detrimental sun rays. They are much better than an umbrella. Whether you have a patio, a deck or a porch, you really can’t go wrong with outdoor blinds or awnings. They will make your exterior sitting space much more comfortable, and your guests will appreciate them as well. It is not uncommon to have working spaces in offices, warehouses and factories air conditioned. While it definitely leads to working in more comfortable conditions, this need for climate control can be necessitated because of any products or manufacturing processes that demand controlled temperatures. Information supplied by Acclaim Air-conditioning Pty Ltd a commercial air con installation and repairs specialist located in Gold Coast suburb, Labrador. Commercial air conditioning systems can be of many types and selecting the right one for your particular space requires the proper consideration of a number of factors that go into the work and various processes and actions being undertaken in those spaces. A decision on a particular option can also be influenced by the energy consumption that any equipment has, the number of hours it needs to operate and other factors like the need for maintenance and insulation. Any equipment that you select for the air conditioning of your commercial property must be one that is right for the particular premises, the staff and workers in it, the operations that will be taking place there, and at times what is needed by your customers. It must be of the right capacity for your present needs and in the future. You will have to consider space for additional equipment when you need to grow your business. Any equipment chosen must be not only energy efficient, but it can also make a statement of corporate policy if it is also environmentally friendly. The chosen equipment must be able to function without producing too much of noise that can often be a distraction for staff and workers. If your manufacturing processes have equipment that produces heat, or other action that uses chemicals or paints, these must be factored into the design of any air conditioning system. Commercial air conditioning is a must for hospitals, restaurants, hotels, and offices. There are various options available when you need to go in for air conditioning any commercial space. Split units are by far the most common, and have condensers and cooling devices at a central space or in a space that is away from the area that needs to be cooled. This allows for a completely noise-free environment, as it is only fan units that are in the working space, and these situated at heights. Systems with cooling towers can also be installed on rooftops, and this arrangement also makes it very easy for maintenance of the equipment without in any way disturbing the working in that building. You can use glycol cooling systems that allow for temperatures as low as 10 degrees Celsius. These systems are ideal for large establishments and those that have many different sections. A majority of commercial air conditioning systems use water for cooling. The water does get heated up when the temperatures inside are reduced, but this is cooled with cooling towers, where water is allowed to run down the towers freely while it passes though fans. Maintenance of systems can often play a major part in any final decision on the chosen option for air conditioning any commercial space. It also makes sense to go in for equipment from reputed manufacturers and agencies who are well established in the area where you have your commercial venture. In many geographical locations it may be necessary to have systems that can be used for heating and ventilation also , and it can often help if the supplier of the equipment for both purposes is the same, as the equipment that is common can be fully utilized, whether in winter, summer or for period when you only need ventilation and fresh air. Conducting an energy audit before deciding on equipment can go a long way to reduce energy bills, by deciding on insulation and other factors that affect indoor temperatures. If you are a homeowner, then you know already know that it comes with a bunch of responsibilities along with the joys and benefits of being in your own place. No matter how much you like your home, you may want to sell it at some point. Whether because you are moving to a different city, the house is no longer the right size for your household or some other personal reason, you want to do everything possible to get your home sold as quickly as possible once you have put it on the market. These ten suggestions are great home improvement projects that will make your home more appealing and valuable to others. The kitchen is the most popular room in a home when people are in the market for buying a new house. It is quite often the first room that potential buyers will look at. Because of this, you need to do everything you can to grab their attention in yours. The cabinets are a great place to begin. If you can afford to replace them, go for it! However, you can get just as much effect for a lower price by replacing just the doors. If you have the skill, you could even take them all down, sand and refinish them for a fraction of what new ones would cost. A kitchen remodeling company like Mintconstruct (a Gold Coast Builder) can perform a process called re-facing if you’re on a budget. This will have your cupboards looking like new again. If the cabinet finish still looks pretty good, you may opt instead to simply replace all of the knobs and handles in the room. Use coordinating hardware that brings out the style of the room. Mismatched or outdated appliances in the kitchen can really hurt your image when it comes to selling your home. If your appliances are in good shape and are reasonably new, you may want to replace the door and face panels so that they all match. In some cases, you may discover that the door you have on your dishwasher or other appliances is reversible. If not, it is an inexpensive way to make the kitchen have a more cohesive appearance. Three: Don’t Forget the Kitchen Sink! If the current sink is old, replace it with something more modern. You can upgrade the faucet to one of the larger ones that work well when you have large pots that need cleaning. You should also have a sprayer attached to the sink. Throughout your home, the floors need to look appealing if you want to sell your home. If people can see visible stains or extensive wear on the carpet, it will turn them off. The same is true for old linoleum that is scuffed up. The best choices for you regarding your floors will depend on several factors, including what is currently beneath your carpets. You may be able to have your filthy carpeting removed and polish up the hardwood that is beneath it. After the kitchen, the bathroom is often the next place people go when looking at homes. Everyone enjoys a luxurious bath or shower and having a tub that looks like a great setting for one is a great selling point. Replace any loose tiles or redo them entirely for a fresh look. Change the fixtures so that showering is something that people want to do when they look at it. Consider a shower head that has vibration, pulsing and waterfall effects. While you may not want to invest thousands of dollars into a toilet that has a heated seat and a bidet, you also don’t want one that is stained or simply looks dingy. You can replace the entire unit if the bowl looks bad inside. On the other hand, if it is still in good shape, you can find a great new seat and lid to spruce up the appearance of your toilet. Make sure that all of the toilets in the home look nice. Stepping outside of the house, you need to take a long hard look at the exterior finish. Depending on how long you have owned the home and the upkeep it has been through, you may want to touch up the paint at the very least. However, if you can afford it, new siding is a better option. Go for a mid-quality siding that is designed to work well in your climate and that looks attractive. You should consider the aesthetic value of your home and the neighborhood. 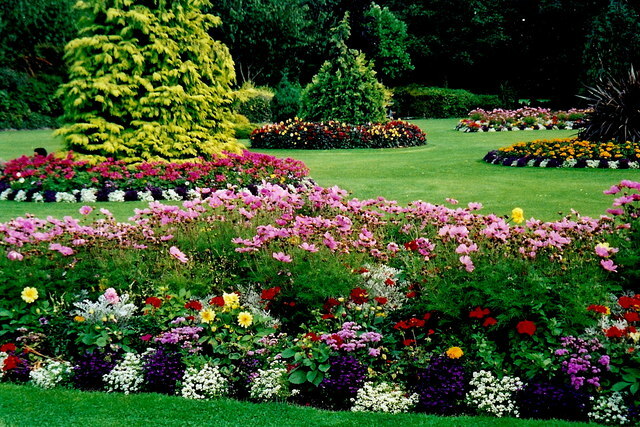 Unless you already devote a decent amount of time to taking care of your lawn and garden, you should hire a professional landscaping company to make sure it looks fantastic. This should include having all of the walkways and the driveway edged and weeds removed throughout the property. If you have hedges, bushes, and trees, they need to be trimmed. Many people love to hang out with friends and family outside. Just Decks is a professional deck builder who can erect a deck that is a perfect place for these types of get-togethers. Add one to your home to appeal to those who do not want to be stuck indoors all of the time. Make sure to include a ramp access. Pergolas and patios are further awesome ideas for transforming your outdoor areas. Chances are your windows need to be replaced. Opt for those that are attractive and energy efficient if you want to get the attention of buyers. You can purchase windows with double or even triple panes to minimize the effects outside weather has within your home. You can even add window shutters for street appeal. Talk to a local window treatment expert such as Affordable Blinds & Shutters about beautifying your windows, inside and out, with blinds, shutters, and awnings. It’s amazing what a little colour and style can do for the look of the home and it’s value to a potential buyer! Decorative driveways have a lot of street appeal and can increase the value of your home significantly. Find a local company who can do this for you and make sure that the concrete is tested before pouring. If you want to sell your home quickly once you put it on the market, doing these 12 things greatly increases your chance of success! You might get an invasion of creepy little bugs in your house at any time. This is a big problem in warm climates, but it can happen during the summer in cold climates too. Just because the bugs have invaded does not mean you don’t keep your house clean. It just means that they have found a source of water or warmth in your house. Of course, these little creepy-crawlies can feed on the tiniest crumb that the most careful housekeeper might miss. If the problem isn’t that bad, you can purchase some insect sprays that are not toxic to people and pets. You might also set out bait for the bugs. Put the bait in your cupboards to attract them, and eventually, the population of unwelcome guests in your house should decline a lot. If the problem gets worse, you might need to get a bug bomb. Make sure you put all of your food and dishes away. You will also have to round up your pets so that they will be safe. Set off bug bombs around your house and leave for a few hours. When you get back, you should find a lot of bug corpses to sweep up. If that doesn’t work, it is time to call a professional pest control exterminator. They cost more, but they can take care of the problem more efficiently than you can. That is because they know the right tactic to use for a variety of different insect invasions. Hopefully, you can say good-bye to your bug problems if you follow these steps. Many “house proud” homeowners are constantly thinking about different ways to renovate and improve their homes, and one room that gets a lot of attention is the bathroom. Of course it is a room that we spend a lot of time in, so why not try to make it as classy and nice as possible. The size of your bathroom can be an issue in a lot of homes since it always seems like you’re running out of space to fit in everything that you want. In bathrooms that are on the smallish side, it is important to try and open up space with classy shower screen. Usually these shower screens if chosen just right can really brighten up a bathroom and make it appear bigger than it really is. These days a local bathroom renovation company such as Screensnmore Shower Screens Brisbane & Gold Coast will recommend a classy shower screen installation, and today we see a lot of different types of screens that surround the stall. Clear glass screens is what we see when a bathroom is more on the small side as that allows more light to filter through and really open things up. Good bathroom designers always recommend a clear shower screen if you have a smaller bathroom. If you have a bigger bathroom you may want to choose something a bit more elegant, perhaps something with a really nice pattern. This pattern might be a shape that you like or some kind of print with different areas that let in light which can creating a neat effect. Even if you have a big bathroom a clear shower screen is still a very nice touch, elegant and classy. You don’t need to spend a lot of money renovating a bathroom, just choose what you spend it on more wisely. The good thing about renovations today is having plenty of examples to look at. The internet makes it possible for you to literally look at thousands of pictures of bathroom renovations that feature all sorts of shower screens. You will probably be very surprised after checking out these pictures and seeing things that you never thought were possible. It is always good to look at work others have done to give yourself some ideas you might not have thought about. Perhaps you never thought about changing your bathroom screen during the renovation until you saw something in a magazine that looked elegant. You never really know sometimes until you can actually see pictures. Also you are probably unsure of how it will turn out until the entire project is done. We never want to make mistakes during renovation projects especially when it comes to the bathroom. That just means we have to spend more time in another bathroom while they make adjustments or fix what we didn’t like. Of course there is always the possibility you may not like the work being done, but if you plan ahead and stay on top of the work you will get exactly what you want. Hiring a licenced builder/renovator like Mintconstruct Pty Ltd is very important in how your bathroom renovation will ultimately end up. Just because everything might look great on the outside, it doesn’t mean they put everything together correctly. Before deciding on a contractor to renovate and build your dream bathroom, make sure you only hire someone who is licensed and insured. In case something goes wrong you need a professional who will honor the warranty. With many decisions to make regarding a bathroom renovation, a nice classy shower screen can really transform the entire look into something extraordinary. The only thing left to do now is hop into the shower and enjoy your new screen! Self-storage units are a nice option for storing items for many different types of people. According to Roy Hiscock from Storage Max, a Gold Coast self storage business, storage units offer a space that is safe and secure, so that individuals, families, and businesses all use them for a variety of reasons. Whether you are doing your research in finding who uses self-storage units and what they use them for or you are looking for your storage unit to use, read on to learn more. The storage space that self-storage units provide comes in handy for many individuals. As kids grow up and start to move out of their family’s home, many times it takes a bit of time to settle into one spot. As they consider their options, young people, either moving out for their first time or going to college or both, often utilize self-storage units. Those who are moving, both the younger and the older generation, also use units to hold their items during the transition process. The storage units make it easier to move out of one space and into another one. People who are going through a divorce many times choose storage units as housing for their personal items. As they find their way through a difficult time in their lives, having a safe place for the things that belong to them is important. Similar to individuals that use the units, families often chose to store their belongings in storage units when they move from one home to another. Sometimes they have to stay with family or friends during the transition period. Being able to store their household goods in a safe spot is helpful. Another reason that families use storage units is that they may have acquired more items that can fit into their homes. Some people enjoy collecting things but lack the space needed to do so. As they build their collection, these people can either move something out of their home to make room for it or simply store their collected items in the storage unit. There are many other reasons that families choose self-storage units. One reason is a place to store vehicles that they may not be using. For instance, self-storage units can hold boats, RVs, jet skis, motorcycles, and other vehicles that aren’t currently be being used. Just like non-business owners, many times businesses use the storage units when they are moving. Having a space to store belongings is such a helpful thing. One example of a business needing storage space is law firms needing to store documents. Some business also uses storage units to store excess inventory. If they don’t have room in their location or they, run a business out of their home, having the storage option is helpful. Also, businesses can use self-storage units to store their extra belongings. Believe it or not, it can take quite a bit to be successful running a business. But, the things needed aren’t necessarily needed all the time. Businesses can store props, holiday items, or decorations in their unit so they can use them later. In conclusion, there are many uses for self-storage units. They are used by individuals, families, and businesses to store their belongings as they move from one location to another. Also, they are helpful when there is just too much stuff to fit in a home or business location. By utilizing a self-storage unit, anyone can keep the things that important or useful to them, without needing to waste necessary space that they need for other items. The work of Gold Coast pest control experts involves things such as identifying pests, using various pest control methods and performing inspections. Knowing what a pest controller can do for you is a good idea. Let’s discuss more about what a pest controller can do for you and why you should hire one. 1. Identify Pests– When a pest controller is called to a property, they will take their time to look around the property. This is because they will look for specific signs and clues to identify the pests that are infesting the property. The property may only have a rodent or two running around, or there may be an infestation of termites or spiders and other types of insects. It doesn’t matter what kind of pests you are dealing with, a professional pest controller can identify them. 2. Use Safe And Effective Pest Control Methods- The work of the Gold Coast pest controller also involves using safe and effective pest control methods. There are a number of methods a pest controller may choose to use to get rid of pests, and they have access to various types of equipment that can help them. When you hire a pest controller, then you can rest assure they will use methods that are safe and won’t do any damage to your home. If you want to get rid of pests, then you want to do it the right way, and the right way to do it is by hiring a professional. 3. Eliminate Pests And Prevention- Pest controllers not only identify pests and have the right equipment, but they can eliminate the pest problem. As previously mentioned, a pest controller has various methods at their disposal, which means they can take care of your pest problem, regardless of how small or large the infestation is. Different pests may need to be dealt with via different methods, and this is exactly why you should use a professional pest controller when dealing with any type of pests. A professional also can take steps to help you increase your chances of experiencing a re-infestation. There are preventative measures they can take, and this is exactly what you want, especially if you were dealing with a termite infestation. Termites can cause a lot of damage to a property’s structure and the last thing you want is to get rid of an infestation only for another termite infestation to occur. If you are dealing with pests, especially termites, then you should contact a pest controller as soon as possible because they can eliminate them, take preventative measures and you could end up saving money in the long run. 4. Inspections- The work of the Australian pest controller can involve inspections of both residential and commercial properties and there are a number of reasons why you should have an inspection performed. If you are a landlord, then it is a good idea to have an inspection performed on a yearly basis or as often as you think is necessary. If you are about to sell a home, then having it inspected for termites and other pests is something you will want to do. These are just a few examples why you would want to hire a pest controller to perform an inspection on your property. Those are just a few of the things a pest control can do can do. The bottom line is if you think you have pests in your home or commercial property, or you want to make sure you don’t have any, then you need to contact a professional. The sooner you hire a pest controller, the sooner you can have peace of mind. When you are looking for your home, and considering ways of improving the curb appeal, a timber deck might be what you should do. The cost of installing one, depending on the material, can be either affordable or inexpensive. You should always consider using a professional that has been doing this type of service in your area, one that comes with high recommendations. They can do anything from a deck that surrounds your entire home to one that leads out to a hot tub, making your property not only look elegant but will allow you to get much more money for the overall property if you decide to sell. There are several different types of timber that you can use to get the best effect. Most people will choose, especially if they do not care about price, to go with natural redwood. This can be easily stained each year to preserve it, and also to enhance its appearance. You should also consider the type of railings that you use, the lighting that might be installed to enhance its appearance at night, and some of the many finishing touches such as trim and accessories, not to mention Gates and fasteners, which can complete the entire package. The amount of money that you pay for your deck will be dependent upon the material that you use, the size of the actual deck, and the contractor that is going to do the job for you. When choosing a contractor, keep in mind that the more money that you pay, it might lead to having a better final product. Always verify this by checking on the reputation in your town, and also on the Internet with testimonials that have been left for the companies by previous customers that are happy with the end result. The cost of the actual project can be limited to getting multiple bids. This means that you will be able to see what his company is charging, and choose the one with the lowest price. Keep in mind that a low price may mean that you are compromising, to some degree, what the end product is going to look like. If you have to pay a little bit more, to get the best company for the job, you might want to look at this as a very necessary investment into the timber deck that you decide to get. Now that you know what to do in regard to finding the best company to install a timber deck at your home, and how it can add to the overall appearance, something that you can appreciate, or something that can help you sell it much more quickly, you should consider getting multiple bids from different contractors that offer these services, an investment in your house that you will definitely appreciate in years to come. Get those bids today, find out who can do the job, and start the project as soon as possible. When you’re decorating a home, either because it’s your own home or you’re doing it professionally, there’s a number of choices you’ll have to make. Some of them are simple. Figuring out proper flooring, for example, is generally straightforward. Deciding whether you want a gas or a wood burning fireplace is simply a matter of deciding how much mess you want to clean. When it comes to windows, there’s a much more involved choice to make. Will you use blinds, shutters, or awnings? It may seem as though this isn’t a particularly important choice, but that is not the case! While each of these things gives you the ability to help insulate and protect the windows and home, they each do so in different ways, offering certain benefits and drawbacks. Blinds are simple window coverings, made of slates of either wood or plastic, tied together and then draped in front of the window. They can be opened or closed by lying flat against each other or becoming parallel. This allows you to let more or less sunlight through. Most blinds can also be raised, uncovering the window completely. They offer only a minimum of protection and insulation to the window, depending on the material of which they are made. Even the thickest and sturdiest of blinds can only offer a small amount of protection, unfortunately. So what could the benefits of blinds possibly be? They’re cheap, they’re easy to maintain, and they’re easy to replace. You can generally purchase even new high-end blinds for less than fifty dollars, which means you won’t have to worry if they break. As for cleaning, you can generally do the job with a simple feather duster. The cost, combined with the ease of maintenance, makes blinds rather attractive choices even though they don’t offer as much protection as the other options. Shutters are essentially small wooden French doors that are placed in front of the windows. Some have slates built into them, to allow a small amount of sunlight to stream through if they’re closed, whereas others don’t. Either way, they offer more insulation and protection than blinds can. After all, shutters are essentially placing a layer of wood over the window! The downsides of choosing shutters are that they’re much more difficult to maintain and replace. Should the wood begin to warp or break, you can’t simply head out and purchase a new set of shutters. Not only that, but many shutters are painted or treated, which means you have to take a few extra steps to clean them. They may not react well to water or other common household cleaners. Awnings are thick fabric roof-like structures that get placed over the top of your windows. Unlike blinds which are always inside and shutters which can be placed inside or outside, awnings are always placed outside. They’re incredibly good if you live in an area with heavy rainfall or hail because they give the window a certain amount of protection from those elements. The downsides of awnings are that they don’t insulate as well as shutters. They do keep much of the direct sunlight off the window, and maintain a certain coolness underneath, but not as much as you may want. They’re also difficult to clean and replace, often requiring professional installers to do so. This makes them expensive, as well. Ultimately, it comes down to how much protection you feel you need, and how much money you want to spend. And of course, which choice you think makes the house look it’s most beautiful. Copyright © 2019 The Business Of Home Renovations All Rights Reserved.